Electroplated copper from cyanide-based plating solutions has long been used both as an engineering or decorative finish and as an undercoat for other plated metals. Cyanide copper solutions are used on a wide variety of base materials. An important property of copper deposited from cyanide-based systems is its ability to form strong adherent bonds to most base metal and alloy substrates. Because acid copper plating solutions attack most basis metals and/or produce immersion deposits with poor adhesion, cyanide copper plating is used as a thin undercoating or strike to produce good adhesion. Following the strike, a high-speed acid copper plating formulation can be used to produce the desired film thickness. Cyanide plating solutions are highly poisonous, and the rinses and spent bath solutions must undergo complete destruction before disposal. Allowable cyanide in wastewaters is very small, and waste treatment is required in all areas. However, it should be recognized that cyanide destruction technology is well established and proven effective. Because deposits from cyanide plating solutions exhibit good throwing power, more complicated shapes can be completely covered, with a uniform film thickness. This is a result of the relationship of efficiency and current density. As the current density increases, the bath efficiency decreases. There is a drawback that must be addressed. The drop in plating efficiency yields an increase in the formation of hydrogen gas. This evolved gas can be absorbed by the base metal. The result can be a reduction of the metal’s fatigue strength by hydrogen embrittlement. To relieve hydrogen embrittlement when plating on hardened steel (Rockwell C35 or higher), the parts are baked within 4 hr after the final plating operation at 325 ± 25°F (162 ± 14°C) for up to 24 hr.22,26,31 Periodic reverse plating cycles in cyanide copper baths have been used with some success in producing fine-grain deposits with good leveling. Plating of parts with cyanide copper will continue with little change in total volume until a suitable and environmentally acceptable system can replace it. The ability to plate an initial coating with good adhesion to light metal base materials with good throwing power and coverage are the key features of cyanide copper systems. The associated cyanide destruction, disposal costs, and safety measures required in cyanide handling can be accomplished with proper education and training. Here is a basic circuit of Christmas star that can be easily constructed even by a novice. The main MAINS-OPERATED CHRISTMAS STAR SANI THEO PRINCE PHILLIPS advantage of this circuit is that it doesn’t require any step-down transformer or ICs. Components like resistors R1 and R2, capacitors C1, C2, and C3, diodes D1 and D2, and zener ZD1 are used to develop a fairly steady 5V DC supply voltage that provides the required current to operate the multivibrator circuit and trigger triac BT136 via LED1. The multivibrator circuit is constructed using two BC548 transistors (T1 and T2) and some passive components. The frequency of the multivibrator circuit is controlled by capacitors C4 and C5 and resistors R3 through R7. The output of the multivibrator circuit is connected to transistor T3, which, in turn, drives the triac via LED1. During positive half cycles of the multivibrator’s output, transistor T3 energises triac BT136 and the lamp glows. The electroplating industry is essential to many manufacturing operations. Electroplated coatings and related finishes are classified into three categories according to their main function, although these categories do overlap. Without electroplating and surface finishing, our modern standard of living would be difficult to maintain. Surface finishing plays a primary role in the electronics, communications, and aviation/aerospace industries. These industries drive product miniaturization and demand increased product reliability. Present-day surface coatings are applied to parts in a manner that meets the designers’ requirements while using chemical solutions that are environmentally friendly in both production processes and waste treatment. Of the numerous elements in the periodic system, only about 16 are available as electroplated finishes. Of course, the number of coating processes increases when you include all of the alloy formulations. Electroplating is adaptable, because it is used on tiny semiconductor parts as well as large industrial components. When to use a single-layer coating or a multilayer composite is based on expert opinion and experience with the coatings and how they perform. Electroplate coatings are not adaptable to all substrates, although most materials can be electroplated if proper preplating procedures are used. If a part is to be electroplated, some restraints on the design of the product may be imposed so that a satisfactory coating will result. Electroplated coatings are subject to rigid specifications. Control documents are provided by ASTM International as well as other associations, government bodies, and by the internationally recognized International Organization for Standardization (ISO). The issue of lead in electronics has gone through more than 12 years of deliberation and debate by legislative bodies, manufacturers, and individuals around the world. Various ideas have been exhibited, particularly in U.S., and individual opinions expressed by both supporters and oppositions have been eloquent. On the global landscape, the tangible progress in technology and legislation differs in the three major continents—North America, the European Union, and Asia. Although a uniform consensus is still to be worked out, the technology has advanced, the business climate has changed, and, overall, the marketplace is striding into a highly environmentally-conscious playing field. Various organizations have made dedicated effort to inform the industry about this pivotal issue. For instance, the Swedish Institute of Production Engineering Research (IVF) has developed the “Electronics Design-for-Environment Webguide,” which disseminates updated information to the industry regarding the development of legislation and technology. The International Tin Research Institute (ITRI) launched the Lead-Free Soldering Technology Centre, and IPC initiated the Lead Free Forum on the Internet. Professional organizations such as Surface Mount Technology Association (SMTA) and International Microelectronics and Packaging Society (IMAPS) have organized symposia dedicated to disseminating knowledge and information. Global legislations in the three regions are described separately, below. To producers and manufacturers, waste reduction, recovery, and recycling should be and inevitably will be treated as a long-term goal supported by an ongoing effort. A product should be designed for minimal environmental impact and with the full life cycle in mind. Life-cycle assessment includes all the energy and resource inputs to a product, the associated wastes, and the resulting health and ecological burdens. Overall the goal is to reduce environmental impacts from cradle to grave. Solder-joint integrity can be affected by the intrinsic nature of the solder alloy, the substrates in relation to the solder alloy, the joint design or structure, the joint-making process, and the external environment to which the solder joint is exposed. In the real world, solder-joint failure often occurs in complex mechanisms involving the interaction of more than one basic failure process. Although creepfatigue is considered to be a prevalent mechanism leading to the eventual solder joint failure, separate test schemes in creep and fatigue are often conducted to facilitate data interpretation and an understanding of the material behavior. For making sound interconnections, the characteristics and properties of the circuit board surface finish are as important as the component leads and termination. Hot air solder leveled SnPb (HASL) has been used successfully as the surface finish for surface mount and mixed PCBs. As the need of a flat surface with uniform thickness becomes increasingly important to forming consistent and reliable fine-pitch solder joints, the HASL process often falls short. Alternatives to HASL include immersion Sn, electroplated SnPb (reflowed or nonreflowed), electroplated Au/Ni, electroless Au/electroless Ni, immersion Au/ electroless Ni, immersion Pd, immersion Pb/electroless Ni, electroplated Sn- Ni alloy, and organic coating. When selecting an alternative surface finish for a PCB assembly, the key parameters to consider are solderability, ambient stability, high-temperature stability, suitability of the use as contact/switch surface, solder-joint integrity, wire bondability of assemblies that involve wire bonding, and cost. Whatever its deficiencies may be, HASL provides the most solderable surface. However, comparing a metallic system with HASL, the latter subjects PCBs to higher temperatures (above 200°C), producing inevitable thermal stress in PCBs. Furthermore, HASL is not suitable for wire bonding. To choose a valid replacement for HASL, many variables need to be assessed. Understanding the fundamentals behind each variable, in conjunction with setting proper priority of importance among these variables for a specific application, is the way to reach the best balanced solution. When selecting an alternative surface finish for PCB assembly, the key parameters to consider are solderability, ambient stability, high temperature stability, suitable for use as a contact/switch surface, solder-joint integrity, and wire bondability for those assemblies that involve wire bonding, and cost. Table 5.14 summarizes the relative performance of PCB surface finish systems. Two types of laser have been applied to solder reflow—carbon dioxide (CO2) and neodymium-doped yttrium-aluminum-garnet (Nd:YAG). Both generate radiation in the infrared region with wavelengths of about 10.6 μm from the CO2 laser and 1.06 μm for the YAG laser. The wavelength of 1.06 μm is more effectively absorbed by metal than by ceramics and plastics; the wavelength of 10.6 μm is normally reflected by conductive surfaces (metals) and absorbed by organics. With these attributes in mind, laser soldering is particularly beneficial to soldering densely packed regions, where local solder joints can be made without affecting the adjacent parts, to soldering surface mount devices on printed-circuit boards having heat sinks or heat pipes, and to soldering multilayer boards. In addition, it also provides sequential flexibility of soldering different components and enhances the high-temperature performance of adhesives used for mounting surface-mount devices. With respect to reflow time, laser soldering can be accomplished in less than 1 sec, normally in the range of 10 to 800 ms. The laser can be applied to pointto- point connections through pulsation as well as to line-to-line connections via continuous laser beam scan. The fine-pitch flat-pack devices have been connected to printed wiring boards using YAG continuous laser beam scans on each side of the package. Both the use of prebumped solder pads and the direct application of solder paste are feasible. In directly reflowing solder paste, although using spattering and heat absorption problems have been observed, they are not incurable. To eliminate these problems, the preheating and predrying step is necessary. Location of laser beam impringement is another factor. In addition, compatible properties of solder paste have be designed to accommodate fast heating in relation to fluxing and paste consistency, coupled with the proper design of the equipment and its settings. Elevated temperatures and excessive time at those temperatures during the warm-up and preheating stages can result in inadequate fluxing activity or insufficient protection of solder spheres in the paste, causing solder balling. In addition to the quality of solder paste, the presence of solder balls may be essentially related to the compatibility between the paste and the reflow profile. On the other hand, inadequate preheating or heating too fast may cause spattering, as evidenced by random solder balls. The two heating stages preceding the spike/reflow zone are primarily responsible for this phenomenon. Solder beading refers to the occurrence of large solder balls (usually larger than 0.005 in [0.13 mm] in diameter) that are always associated with small and low-clearance passive components (capacitors and resistors). This problem will occur even when the paste may otherwise perform perfectly, i.e., free of solder balls at all other locations (components) on the board and with good wetting. The trouble with solder beading is that it may occur in most or all board assemblies, rendering the first-time yield to nearly zero. The current remedy on the production floor is to manually remove the beads. The formation of solder beads near or under capacitors and resistors is largely attributed to paste flow into the underside of the component body between two terminations aided by capillary effect. As this portion of paste melts during reflow, it becomes isolated away from the main solder on the wettable solder pads, forming large discrete solder beads. With other factors, reflow profile is a contributor to this phenomenon The practice of adopting a slower preheating rate and a lower reflow peak temperature can reduce solder beading. However, if the reflow profile is at its optimum, and the problem still persists, a new paste with a strengthened chemistry is the solution. 1. A silicon dioxide (SiO2) layer is grown on a p-doped silicon wafer. 2. A positive photoresist layer is applied to the SiO2. 3. A photomask is created with opaque and clear areas, patterning the clear areas in locations where windows in the SiO2 are to be formed. The photomask image is transferred onto the positive photoresist, which becomes polymerized in the areas where it is not exposed to the UV light (opaque areas in the photomask). 4. The resist is developed, and the unpolymerized areas dissolve, forming a window that exposes the SiO2. 5. The silicon dioxide is etched away in the photoresist windows, exposing the silicon wafer. 6. The photoresist is removed. 7. Using phosphorus as the dopant, an n-type region in the p-type silicon base is created by diffusion. 8. A new layer of silicon dioxide is grown on the surface of the n-region, and steps (2) through (6) are repeated to create a new window in the SiO2. 9. A second diffusion creates the p-type region in the n-type base by using boron as the dopant. 10. Silicon dioxide (SiO2) is again grown over the exposed silicon wafer, and the photoresist is applied over the SiO2. 11. The photomask, containing the two clearances for the emitter and base, is placed over the positive photoresist, and steps (2) through (6) are repeated. 12. The structure is now ready for metallization. An aluminum film is deposited over the entire surface, followed by a coating of positive photoresist. 13. The photomask, with the emitter and base areas opaque, is placed over the photoresist and exposed to UV light. 14. The photoresist is developed, leaving the resist over the emitter and base areas. 15. The exposed metallization is etched away, followed by the removal of the resist over the emitter and base areas. 16. A passivation layer of silicon nitride is applied to the circuitry, leaving the bond pads exposed. 17. The silicon planar bipolar transistor is now complete. Another type of field effect transistor (FET) is the metal-oxide semiconductor field-effect transistor (MOSFET). It operates on the same principle as the JFET transistor but uses the input voltage, applied across a built-in capacitor, to control the source-to-drain electron flow. A MOSFET typically consists of a source and drain (n-type regions) embedded in a p-type material (Fig. 1.20). The gate terminal is connected to a metal (aluminum) layer that is separated from the p-type material by a silicon dioxide (SiO2) insulator. This combination of metal, silicon dioxide (insulation), and p-type semiconductor layers forms a decoupling capacitor. The gate region is located between the source and drain regions, with a fourth region located under the gate, called the substrate. The substrate is either internally connected to the source or is used as an external terminal. The flow of electrons from the source to the drain is controlled by whether the gate has a positive or negative voltage. If the input voltage applied to the gate is positive, free electrons will be attracted from the n-regions and the pregion to the underside of the silicon dioxide layer, at the gate region. The abundance of electrons under the gate forms an n-channel between the two nregions, thus providing a conductive path for the current to flow from the source to the drain. In this case, the MOSFET is said to be on. If the input voltage at the gate is negative, the electrons in the p-region under the gate are repelled, and no n channel is formed. Since the resistance in the p-region between the two n-regions is infinite, no current will flow, thus turning the MOSFET off. Although the MOSFET used in the above description was of an n-p-n type, a p-n-p type MOSFET can also be constructed, but its voltage polarities are reversed. Semiconductor materials have physical characteristics that are totally different from those of metals. Whereas metals conduct electricity at all temperatures, semiconductors conduct well at some temperatures and poorly at others. In the preceding section, it was shown that semiconductors are covalent solids. That is, the atoms form covalent bonds with themselves, the most important being silicon and germanium. Others may form semiconductor compounds where two or more elements form covalent bonds, such as gallium (Group III) and arsenic (Group V), which combine to form gallium arsenide. Germanium is an elemental semiconductor that was used to fabricate the first transistors and solid state devices. But, because it is difficult to process and inhibits device performance, it is rarely used now. The other elemental semiconductor, silicon, is used in approximately 90 percent of the chips fabricated. Silicon’s popularity can be attributed to its abundance in nature and retention of good electrical properties, even at high temperatures. In addition, its silicon dioxide (SiO2) has many properties ideally suited to IC manufacturing. Gallium arsenide is classified as a semiconducting compound. Some of its properties, such as faster operating frequencies (two to three times faster than silicon), low heat dissipation, resistance to radiation, and minimal leakage between adjacent components, makes GaAs an important semiconductor for use in high-performance applications. Its drawbacks are the difficulty of growing the ingots and fabricating the ICs. An elemental or compound semiconductor that was not contaminated by the introduction of impurities is called an intrinsic semiconductor. At an absolute zero temperature, intrinsic semiconductors form stable covalent bonds that have valence shells completely filled with electrons. These covalent bonds are very strong, so that each electron is held very strongly to the atoms sharing it. Thus, there are no free electrons available, and no electrical conduction is possible. As the temperature is raised to relatively high temperatures, the valence bonds sometimes break, and electrons are released. The free electrons behave in the same way as free electrons in a metal; therefore, electrical conduction is now possible when an electric field is applied. If an impurity, such as phosphorus or boron, is introduced into the crystal structure of an intrinsic semiconductor, its chemical state is altered to where the semiconductor will have an excess or deficiency of electrons, depending on the impurity type used. The process of adding a small quantity of impurities to an intrinsic semiconductor is called doping. Radio-frequency circuits are represented here by only a few general examples, because the circuits and design methods that have to be used are fairly specialized, particularly for transmission; the reader who wishes more information on purely RF circuits is referred to the excellent amateur radio publications. At one time, a reference book would have shown discrete circuits for RF and IF receiver stages, but for conventional analogue radio reception these functions are now invariably carried out by ICs. The Philips TEA5711 is an IC, now quite old (1992) and established, that integrates all the functions of an AM/FM radio from front end to AM detector and FM stereo output in a 32-pin DIL package. Figure 7.37 shows a suggested application from the datasheet, using a separate TDA5070 output chip. The TEA5711 chip allows a wide range of supply voltage, from 1.8 V to 12 V, and has a low current consumption of 15 mA on AM and 16 mA on FM. The input sensitivity for FM is 2.0 μV, with high selectivity, and the FM input uses a high impedance MOSFET. The main applications are in portable radios. The Chorus FS1010 from Frontier Silicon is a 179-pin BGA package that implements the most difficult sections of a DAB digital radio receiver, needing only an external RF stage, audio D to A, flash memory, keypad and display for a complete radio. The chip incorporates 16 K of ROM, 384 K of RAM, and two 8 K cache memories. It is likely that some day we shall have all of these functions on one chip, but until DAB radios sell in more significant numbers and until gaps in transmitting areas are filled in this is not likely to happen rapidly. One significant difference from radio as we used to know it is that there is no chance of using discrete components. Much more specialized devices are used for microwave frequencies, and a specialist in semiconductors for these ranges is Tquint Semiconductors. As example, the Tquint TGC1430G multiplier is intended as a ×3 multiplier with an output in the range of 20–40 GHz using stripline architecture with GaAs semiconductors. The bipolar junction transistor or BJT as it is more commonly known can be considered in digital terms as a simple single-pole switch. It physically consists of three layers of semiconductor (which can be either N-type or P-type) of which two transistor types exist - NPN or PNP. We shall consider the operation of the NPN device since this device is used mainly in bipolar digital switching circuits. The symbol for the NPN transistor is shown in Fig. 9.1 and is connected as a simple switch. The transistor consists of three terminals: base (b); emitter (e); and collector (c). Notice that the arrow on this type of transistor is pointing out from the emitter which indicates the direction of current flow. For the PNP the arrow points in. A simple rule for remembering the direction of the arrow is that with an NPN transistor the arrow is Not Pointing iN? The input to the circuit in Fig. 9.1 is connected to the base terminal via the resistor R b whilst the output is taken from the collector. Several text books are available that discuss the operation of a bipolar transistor in detail. However, for this simple BJT switch, and other BJT applications to follow, we just need to know the following. 1. To turn the transistor on a voltage at the base with respect to the emitter of greater than 0.7 V is needed. Under this condition a large collector current, I, flows through the transistor. The amount of current that flows is related to the base current, I b, by I~ =hf~Ib, where hfe is called the current gain and is typically 100. 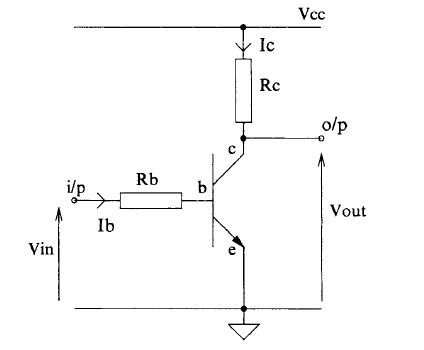 In this condition the transistor is in the on state, called saturation, and the voltage across the collector to emitter is approximately 0.2 V and is called V~. 2. To turn the transistor off the voltage at the base with respect to the emitter has to be less than 0.7 V. The collector current that flows is now zero (or more accurately a very small current called the leakage current). The transistor in this off state is called cut-off and the voltage across it is the supply voltage, Vcc, which is usually 5 V.
Autonomous circuits are those with no external inputs (except for the clock line) and which therefore perform independently (autonomously) of other circuits\ around them. Such circuits move through a set cycle of states as the circuit is\ clocked. The synchronous counters in the last chapter come into this category. However, the states of a general autonomous circuit obviously need not follow a binary sequence and furthermore the external ouputs need not simply be the outputs from the flip-flops (as with the synchronous counters) but could be functions of these (present state) signals. The next state of a general synchronous sequential circuit is dependent not only on the present state, as in an autonomous circuit, but also on the external inputs. Such general circuits can be further subdivided into two classes which are commonly referred to as Moore and Mealy models. The Moore model describes a general synchronous sequential circuit where the external outputs are only functions of the circuit's present states (i.e. the flip-flops' outputs). Because of this in the state diagram of such a circuit the external outputs can be linked explicitly to the nodes (i.e. states). The Mealy model is the most general since not only is the next state dependent upon the present state and the external inputs, but the external outputs are also functions of both of these sets of variables. Since the external outputs also depend upon the external inputs then in the state diagram of Mealy circuits the external outputs cannot simply be associated with a node but rather must be linked to the arrows (connecting the nodes) which are labelled with the output conditions as appropriate. To divide the counters we will look at into two types: asynchronous and synchronous. When used with respect to counters ~ these adjectives describe whether the flip-flops holding the states of the circuit are all clocked together (i.e. synchronously) by a master clock or rather asynchronously, with each flip-flop clocked by the one preceding it. e. require virtually no design. e. usually need more logic gates for their implementation. Although we will not consider such circuits it is possible to design hybrid asynchronous/synchronous counters (e.g. two synchronous four-bit counters connected asynchronously to produce an eight-bit hybrid) that possess some of the advantages of both types and which are appropriate in some applications. Due to their universal use in logic circuits, counters are widely available as logic elements in a wide range of forms. These often include clear and preset facilities (which can be used to load a particular count state), and up-down counts available within the same device. Because the design of binary counters is largely intuitive the approach we will take is to firstly consider simple circuits that act as mod-2" counters, and then how they must be modified to produce a general mod-N count. 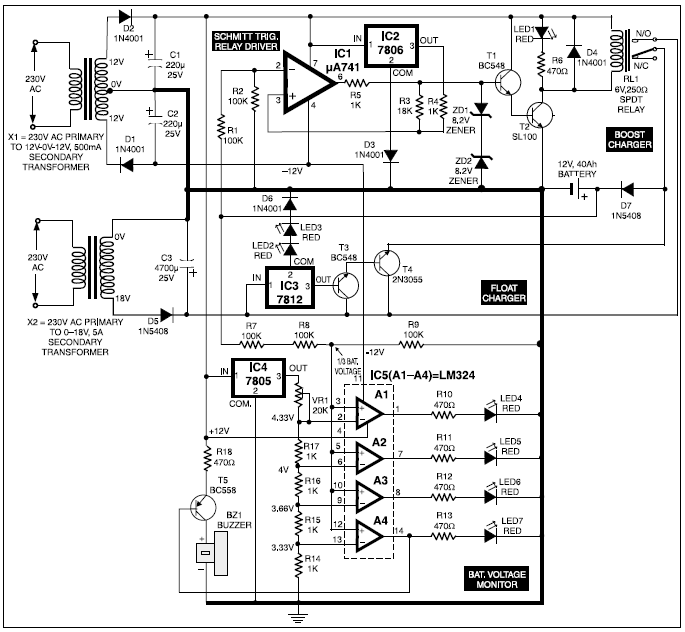 This is a basic electronic project of Battery Charger/ Power supply. Operational amplifier A1 directly drives the VN64GA with the error signal to control the output voltage. Peak rectifier D1, C1 supplies error amplifier A1 and the reference zener. This extra drive voltage must exceed its source voltage by several volts for the VN64GA to pass full load current. Massively Multiplayer ONLINE War Game! Join over 2.8 million players! The most detailed blaster simulation on market that brings you many ranged weapons from star wars! Must have for StarWars fans along with lightsaber! Answer the call of war in this non-stop action-packed strategy game. Play Free! Represent your country and annihilate all those who oppose you! Conquer the world by land, air and sea. Strengthen your Squad and show the world that you will not go down without a fight! Army War is an (RTS) real time strategy game. The game features different missions as: destroy the enemy base, capture the flag, , defends the flag, survives the attack, move your army, collects money and other. To complete the objectives you must use different strategies of attack and create an army as required by the mission. A Space Style Defense Game with Stunning Graphics! A Space Sci-Fi Defense Game with Stunning Graphics and Super Big Maps! Galaxy Wars is the most anticipated and visually stunning Defense game. Everybody loves to play. In recognition to that, we will be giving you 5 of the most popular games that can be played on your Android device. The best part is that they are free. Enjoy the links and enjoy the games. 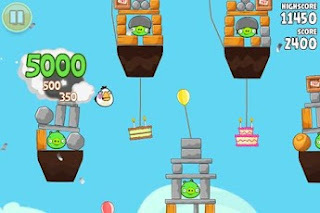 Use the unique powers of the Angry Birds to destroy the greedy pigs' fortresses! The survival of the Angry Birds is at stake. Dish out revenge on the greedy pigs who stole their eggs. Use the unique powers of each bird to destroy the pigs’ fortresses. Angry Birds features challenging physics-based gameplay and hours of replay value. Each of the over 300 levels requires logic, skill, and force to solve. You've stolen the cursed idol from the temple, and now you have to run for your life to escape the Evil Demon Monkeys nipping at your heels. Test your reflexes as you race down ancient temple walls and along sheer cliffs. Swipe to turn, jump and slide to avoid obstacles, collect coins and buy power ups, unlock new characters, and see how far you can run! "Paradise Island" is the game for all sun and sea lovers! Tear yourself away from work and build your own sunny island! Is it time to make your own business? Just have some practice! Rich tourists are just about getting to your warm beaches! Entertain them in casinos and entertainment centers, build hotels, restaurants and discos! Build your own empire of entertainment! Turn your island into best resort empire and learn to manage your own business. 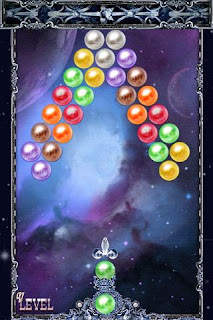 This is the only shoot bubble game that contains both Puzzle mode & Arcade Mode This is the most classic and amazing shooting bubble buster game. This deluxe version is the only one that contains both Puzzle mode & Arcade Mode. Make combinations of 3 or more bubbles to make them burst. Clear all the bubbles to level up. The little monster Om Nom is hungry and the only thing standing between him and a full belly is you – that is your help cutting the ropes that hold the candy he wants. Swipe your finger across the ropes to release the delicious bundles into his mouth. But don’t forget to collect the stars and break the bubbles along the way – easier said than done when enemies and obstacles await! 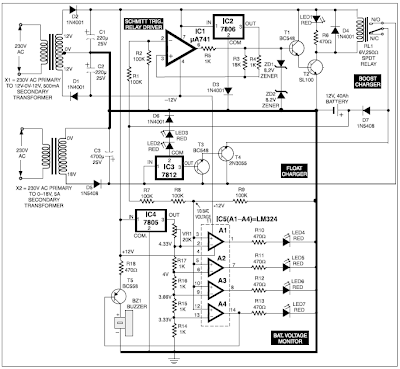 This is a basic diagram of a Portable Ni Cad Battery Charger. This circuit is designed to charge battery packs of Nickel Cadmium from 4.8 to 15.6 V from remote power source such a automobile battery. 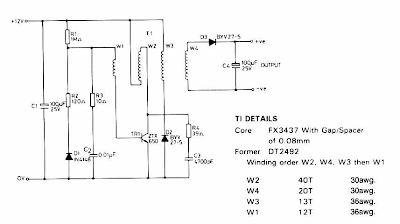 When power is applied to the circuit, a small bias current supplied by R1 via winding W1, starts to turn on the transistor TR1. This forces a voltage across W2 and the positive feedback given by the coupling of W1 and W2 causes the transistor to turn on applying full supply across W2. Radars can be classified by frequency band, use, or platform, for example, ground based, shipborne, airborne, or spaceborne. Radars generally operate in the microwave regime although HF over-the-horizon (OTH) radars such as JINDALEE, OTHB, and ROTHR use similar principles in bouncing signals from the ionosphere to achieve long-range coverage. Radars are often denoted by the letter band of operation, for example, L-band (1–2 GHz), S-band (2–4 GHz), C-band (4–8 GHz), and X-band (8–12 GHz). Some classifications of radar are based on propagation mode (e.g., monostatic, bistatic, OTH, underground) or on scan method (mechanical, electronic, multibeam). Other classifications of radar are based on the waveform and processing, for example, pulse Doppler (PD), continuous wave (CW), FM/CW, synthetic aperture radar (SAR) or impulse (wideband video). Radars are often classified by their use: weather radar, police speed detection, navigation, precision approach radar, airport surveillance and air route surveillance, radio astronomy, fire control and weapon direction, terrain mapping and avoidance, missile fuzing, missile seeker, foliage penetration, subsurface or ground penetrating, acquisition, orbital debris, range instrumentation, imaging (e.g., SAR/ISAR), etc. Search (or surveillance) radars are concerned with detection of targets out to long range and lowelevation\ angles to allow adequate warning on pop-up low-flying targets (e.g., sea skimmers). Since the search radar is more concerned with detection (i.e., presence or absence of targets) and can accommodate cruder accuracy in estimating target parameters such as azimuth angle, elevation angle, and range, search radars tend to have poorer range and angle accuracy than tracking radars. The frequency tends to be lower than track radars since RF power and antenna aperture are less expensive and frequency stability is better. Broad beams (e.g., fan beam) allow faster search of the volume. To first order, the radar search performance is driven by the power-aperture product (PA) to search the volume with a given probability of detection (PD) in a specified frame time. PA actually varies slightly in that to maintain a fixed false alarm rate per scan, more beam positions offer more opportunities for false alarms and, hence, the detection threshold must be raised, which increases the power to achieve the specified PD.With a phased-array antenna (i.e., electronically scanned beam), the probability of false alarm can be optimized by setting a high false alarm in the search beam and using a verify beam with higher threshold to confirm whether a search detection was an actual target or just a false alarm. The lower threshold in search allows less search power with some fraction of beams requiring the extra verify beams. The net effect on total required transmit power can be a reduction using this optimization technique. Search radars tend to use a fan beam or stacked receive beams to reduce the number of beam\ positions allowing more time in the beam for coherent processing to reduce clutter. Fill pulses are sometimes used to allow good clutter cancellation on second- or higher time-around clutter returns. Track radars tend to operate at higher frequency and have better accuracy, that is, narrower beams and high range resolution. Simple radars track a single target with an early–late range tracker, Doppler speed gate, and conical scan or sequential lobing. More advanced angle trackers use monopulse or conical scan on receive only (COSRO) to deny inverse modulation by repeater jammers. The multifunction phased-array radar can be programmed to conduct searches with track beams assigned to individual detected targets. The tracks are maintained in track files. If time occupancy becomes a problem, the track pulses can be machine gunned out at the targets in range order, and on receive they are gathered in one after the other since the track window on each target is quite small. In mechanically rotated systems, track is often a part\ of search, for example, track-while-scan (TWS). A plot extractor clusters the primitive returns in range Doppler angle from a given target to produce a single plot. The plots are associated with the track files using scan-to-scan correlation gates. The number of targets that can be handled in a TWS system is limited by data processing rather than track power. 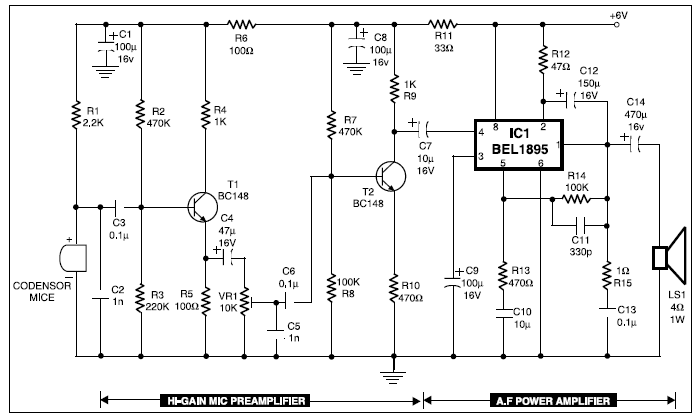 The compact, low-cost condenser mic audio amplifier described here provides good-quality audio of 0.5 watts at 4.5 volts. It can be used as part of intercoms, walkie-talkies, low-power transmitters, and packet radio receivers. Transistors T1 and T2 form the mic preamplifier. Resistor R1 provides the necessary bias for the condenser mic while preset VR1 functions as gain control for varying its gain. In order to increase the audio power, the low-level audio output from the preamplifier stage is coupled via coupling capacitor C7 to the audio power amplifier built around BEL1895 IC. BEL1895 is a monolithic audio power amplifier IC designed specifically for sensitive AM radio applications that delivers 1 watt into 4 ohms at 6V power supply voltage. It exhibits low distortion and noise and operates over 3V-9V supply voltage, which makes it ideal for battery operation. A turn-on pop reduction circuit prevents thud when the power supply is switched on. 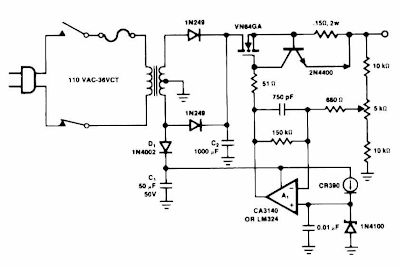 Coupling capacitor C7 determines low-frequency response of the amplifier. Capacitor C9 acts as the ripple-rejection filter. Capacitor C13 couples the output available at pin 1 to the loudspeaker. R15-C13 combination acts as the damping circuit for output oscillations. Capacitor C12 provides the boot strapping function. 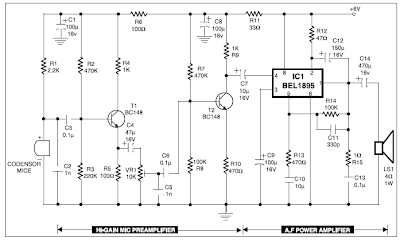 This circuit is suitable for lowpower HAM radio transmitters to supply the necessary audio power for modulation. With simple modifications it can also be used in intercom circuits. High frequency (HF) waves between 3MHz and 30MHz are effectively reflected by ionized layers in the ionosphere producing the sky wave. Medium frequency waves may also be reflected, but less reliably. 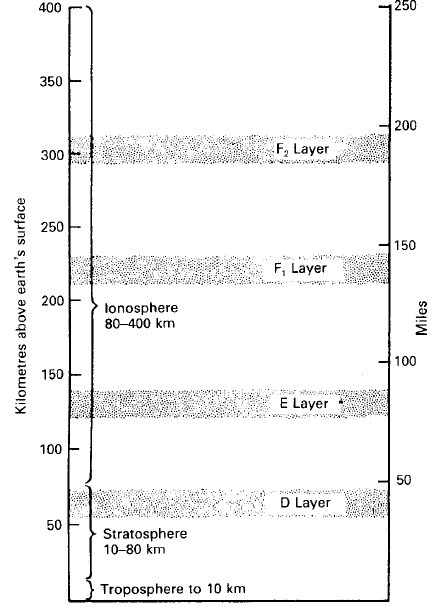 The ionosphere contains several layers of ionized air at varying altitudes (Figure 1.12 ). The heights and density of the layers vary diurnally, seasonally and with the incidence of sunspot activity. The E and F2 layers are semi permanent while the F1 layer is normally only present during daytime. 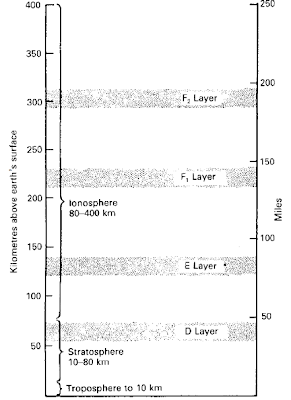 Radio waves radiated at a high angle and reflected by these layers return to earth at a distance from the transmitter. The HF reflection process is in reality one of refraction in layers possessing a greater free electron density than at heights above or below them. 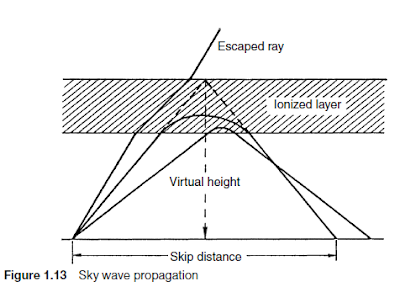 The speed of propagation is slowed on entering a layer and the wave is bent and, if of a suitable frequency and angle of incidence, returned to earth (Figure 1.13 ). • Virtual height. The height at which a true reflection of the incident wave would have occurred (Figure 1.13). • Critical frequency (fc). The highest frequency that would be returned to earth in a wave directed vertically at the layer. • Maximum usable frequency (muf). The highest frequency that will be returned to earth for a given angle of incidence. If the angle of incidence to the normal is θ, the muf = fc/ cos θ. • Skip distance. The minimum distance from the transmitter, along the surface of the earth, at which a wave above the critical frequency will be returned to earth (Figure 1.12 ). Depending on the frequency, the ground wave will exist at a short distance from the transmitter. • Sporadic E-layer reflections. Reflections from the E layer at frequencies higher than those which would normally be returned to earth. They appear to be reflections from electron clouds having sharp boundaries and drifting through the layer. As the name implies the reflections are irregular but occur mostly in summer and at night. This is the method used in medium-wave and short-wave radio broadcasting. 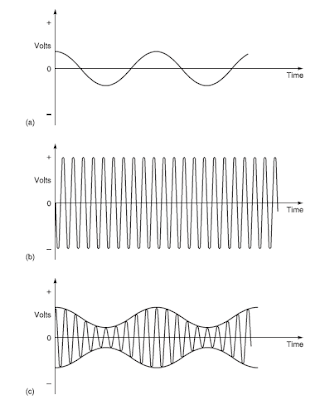 Figure 1.3 shows what happens when we apply amplitude modulation to a sinusoidal carrier wave. 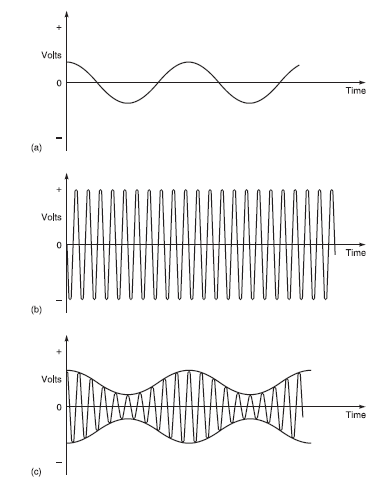 Figure 1.3(a) shows the modulating wave on its own.6 Figure 1.3(b) shows the carrier wave on its own. Figure 1.3(c) shows the resultant wave. The resultant wave shape is due to the fact that at times the modulating wave and the carrier wave are adding (in phase) and at other times, the two waves are opposing each other (out of phase). It can be shown that when this equation is expanded, there are three frequencies, namely (f c – fm), f c and (f c + fm). Frequencies (f c – fm) and (f c + fm) are called sideband frequencies. These are shown pictorially in Figure 1.4. The modulating information is contained in one of the sideband frequencies which must be present to extract the original message. The bandwidth (bw) is defined as the highest frequency minus the lowest frequency. In this case, it is (f c + fm) – (f c – fm) = 2fm where f m is the highest modulation frequency. Hence, a radio receiver must be able to accommodate the bandwidth of a signal. 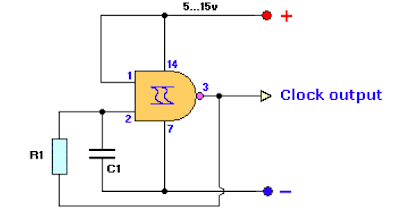 This is a basic electronic project of a CLOCK GENERATOR. This is an easy to create project, using components that are easy to find. 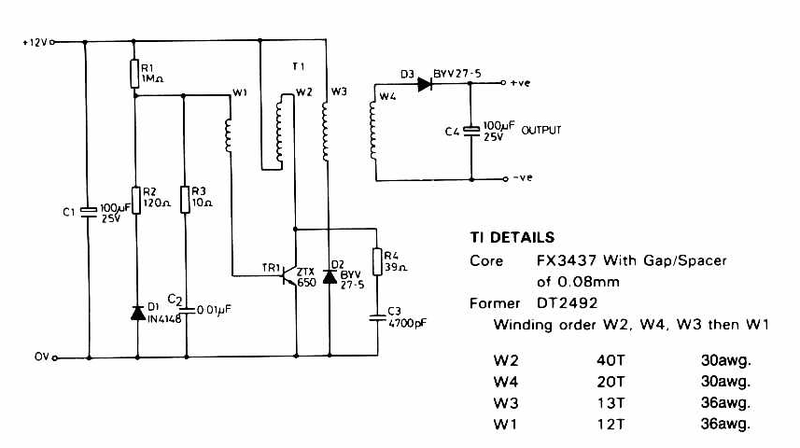 Excellent clock generator to drive 4017 type cmos circuits.o - R1 = 10K to 10M, C1 = 100pF to 47uF.o - Fo is ±1Kz when R1=100K and C1=10nF.o - Input voltage can be from 5 to 15V. The cdma1x system is the evolution of the 2G IS-95 CDMA system and is supported by organization in the United States and Korea. In order to be backward-compatible with IS-95 networks, cdma1x retains many of the attributes of the IS-95 air interface design. Many carriers that deployed cdmaOne will choose cdma1x because the upgrade is quicker and less costly than UMTS. For example, in Korea, carriers have already rolled out IS-95C at 144 Kbps. Adopting a synchronous mode of operation, transmission and reception timings of cell sites are synchronized by a single common timing source such as the Global Positioning System (GPS). Variable length Walsh codes (from 4 to 1,024 bits) are used for the spreading on supplemental channels to support various information rates. In the forward link, Walsh codes are unique within channels of the same user as well as across different users in the same cell. Cell separation is performed by two PN sequences of length 215– 1 chips, one for the in-phase channel and one for the in-quadrature channel. Shifted versions (in multiples of 64 chips) of the same sequences are used in different cells. Each cell uses a unique PN offset to distinguish its transmission from its neighboring cells. On the reverse link, cdma1x also uses Walsh codes to differentiate between channels from the same user. User separation is achieved by user-specific long PN codes. All the users in all cells use the same long code. The transmission from different users, however, is offset by a different number of bits. This offset is achieved by using the electronic serial number (ESN), which is unique to each mobile station. cdma1x introduces dedicated and common control channels to provide efficient packet data services. Fast power control with an update rate of 800 Hz is applied only in the reverse link of IS-95. Its implementation in the forward link of cdma1x provides significant performance improvements in low mobility environment where most of the high data rate applications will occur. Both IS-95 and cdma1x employ a common pilot channel shared by all mobiles to provide a reference signal to receivers thus helping the coherent demodulation. In cdma1x this common pilot channel is a code-multiplexed channel using Walsh codes for orthogonal spreading. The incorporation of a pilot channel also on the reverse link offers significant performance gain by providing a coherent phase reference for coherent demodulation at the BS. It also reduces the power control loop delay. When beam-forming is applied to cover a smaller portion of a cell, the receivers would require an additional dedicated pilot for reliable channel estimation. Channel estimations will not be accurate if the reference pilot traverses a different path compared to the data signal. Thus, dedicated and common auxiliary channels are introduced to take advantage of smart antennas. Systems can provide IS-95B and cdma1x services simultaneously to the MS. A new burst mode capability is defined that addresses the technical issuesthat arise when direct sequence spread spectrum has to support higher-data rate packet services. Turbo codes are also adopted in the cdma1x standard. cdma1x also includes a sophisticated MAC feature to support effectively very high data rate services (up to 2 Mbps) and multiple concurrent data and voice services. Enhancements over IS-95B include the introduction of the suspended and control hold states for packet data MAC. Additional enhanced features can be found in. Thinking of buying Samsung Galaxy S3? Let us help you decide as we compile and have an aggregated score of the various review and comments of this new installment from Samsung. 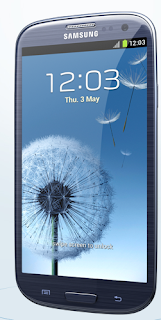 Brief Description: The 3rd generation of the popular and ultra effective S series from Samsung. Expected to be an evolution from its predecessors. General Packet Radio Service (GPRS) has been introduced as transitional data technologies for the evolution of GSM GPRS is the packet mode extension to GSM, supporting data applications and exploiting the already existing network infrastructure in order to save the operator’s investments. GPRS needs for a modest adaptation at radio interface level of GSM hardware. However, it adopts new physical channels and mapping into physical resources, as well as new radio resource management. The new physical channel is called 52-multiframe and it is composed of two 26 control multiframes of voice-mode GSM. High data rates can be provided since the GPRS users can exploit more than one time slot in parallel with the possibility, contrary to the HSCSD technology, to vary the number of time slot assigned to a user (e.g., to reduce them in case of scarcity of resources for the voice service). The maximum theoretical bit rate of the GPRS is 171.2 Kbps (using eight time slots). Current peak values are 20/30 Kbps. The 52-multiframe is logically divided into 12 radio blocks of four consecutive frames, where a radio block (20 ms) represents the minimum time resource assigned to a user. If the user is transmitting or receiving big flows of data, more than one radio block can be allocated to it. The whole set of these blocks received/transmitted by a mobile terminal during a reception/transmission phase forms the temporary block flow (TBF), which is maintained only for the duration of the data transfer. A session can consist of one or more TBFs that are activated during the transmission/reception phase. Each TBF is assigned a temporary flow identity (TFI) by the network, which is unique in both directions. For instance, during the reception, each mobile terminal listens to all the radio blocks flowing on the generic channel, but collects only the ones with the proper label (e.g., TFI). This mechanism simplifies the resource management in point-to-multipoint transmissions, like in the downlink (base station-mobile terminal), since each receiving station can pick up the proper blocks. 2. Static, in which some time slots are allocated for GPRS and they cannot be exploited by voice calls. The Schottky TTL offers a speed that is about twice that offered by the high-power TTL for the same power consumption. Figure 5.19 shows the internal schematic of a Schottky TTL NAND gate. The circuit shown is that of one of the four gates inside a quad two-input NAND (type 74S00 or 54S00). The circuit, as we can see, is nearly the same as that of the high-power TTL NAND gate. The transistors used in the circuit are all Schottky transistors with the exception of Q5. A Schottky Q5 would serve no purpose, with Q4 being a Schottky transistor. A Schottky transistor is nothing but a conventional bipolar transistor with a Schottky diode connected between its base and collector terminals. The Schottky diode with its metal–semiconductor junction not only is faster but also offers a lower forward voltage drop of 0.4V as against 0.7V for a P–N junction diode for the same value of forward current. The presence of a Schottky diode does not allow the transistor to go to deep saturation. The moment the collector voltage of the transistor tends to go below about 0.3 V, the Schottky diode becomes forward biased and bypasses part of the base current through it. 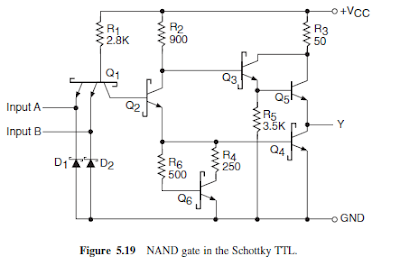 The collector voltage is thus not allowed to go to the saturation value of 0.1V and gets clamped around 0.3 V.
While the power consumption of a Schottky TTL gate is almost the same as that of a high-power TTL gate owing to nearly the same values of the resistors used in the circuit, the Schottky TTL offers a higher speed on account of the use of Schottky transistors. IIL =2 mA; VOH=2.7 V; VOL =0.5 V; IOH =1 mA; IOL =20 mA; VCC =4.75–5.25V (74-series) and 4.5–5.5V (54-series); propagation delay (for a load resistance of 280 , a load capacitance of 15 pF, VCC =5V and an ambient temperature of 25 °C)=5 ns (max.) for LOW-to-HIGH and 4.5 ns (max.) for HIGH to-LOW output transitions; worst-case noise margin=0.3 V; fan-out=10; ICCH (for all four gates)=16 mA; ICCL (for all four gates)=36 mA; operating temperature range=0–70 °C (74- series) and −55 to +125 °C (54-series); speed–power product=57 pJ; maximum flip-flop toggle frequency=125 MHz. The entire range of digital ICs is fabricated using either bipolar devices or MOS devices or a combination of the two. Different logic families falling in the first category are called bipolar families, and these include diode logic (DL), resistor transistor logic (RTL), diode transistor logic (DTL), transistor transistor logic (TTL), emitter coupled logic (ECL), also known as current mode logic (CML), and integrated injection logic (I2L). The logic families that use MOS devices as their basis are known as MOS families, and the prominent members belonging to this category are the PMOS family (using P-channel MOSFETs), the NMOS family (using N-channel MOSFETs) and the CMOS family (using both N- and P-channel devices). The Bi-MOS logic family uses both bipolar and MOS devices. Of all the logic families listed above, the first three, that is, diode logic (DL), resistor transistor logic (RTL) and diode transistor logic (DTL), are of historical importance only. Diode logic used diodes and resistors and in fact was never implemented in integrated circuits. The RTL family used resistors and bipolar transistors, while the DTL family used resistors, diodes and bipolar transistors. Both RTL and DTL suffered from large propagation delay owing to the need for the transistor base charge to leak out if the transistor were to switch from conducting to nonconducting state. Figure 5.1 shows the simplified schematics of a two-input AND gate using DL [Fig. 5.1(a)], a two-input NOR gate using RTL [Fig. 5.1(b)] and a two-input NAND gate using DTL [Fig. 5.1(c)]. The DL, RTL and DTL families, however, were rendered obsolete very shortly after their introduction in the early 1960s owing to the arrival on the scene of transistor transistor logic (TTL). Logic families that are still in widespread use include TTL, CMOS, ECL, NMOS and Bi-CMOS. The PMOS and I2L logic families, which were mainly intended for use in custom large-scale integrated (LSI) circuit devices, have also been rendered more or less obsolete, with the NMOS logic family replacing them for LSI and VLSI applications. Normally, chargers available in the market do not have any sort of control except for a rotary switch that can select different tappings on a rheostat, to vary the charging current. This type of control is not adequate because of the irregular fluctuations in the mains supply, rendering the control ineffective. 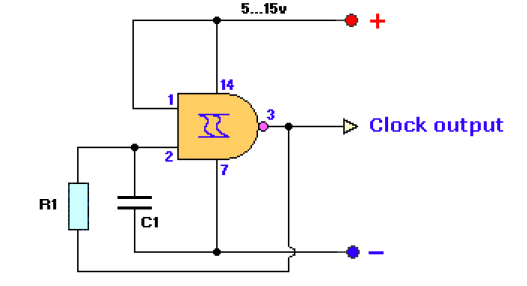 A simple circuit intended for automatic charging of lead-acid batteries is presented here. It is flexible enough to be used for large-capacity inverter batteries. Only the rating of transformer and power transistor needs to be increased. The circuit has been basically designed for a car battery(about 40Ah rating ),which could be used for lighting two 40W tubelights. The circuit includes Schmitt trigger relay driver, float charger, and battery voltage monitor sections. The Schmitt trigger is incorporated to avoid relay chattering. It is designed for a window of about 1V. During charging, when the battery voltage increases beyond 13.64V, the relay cuts off and the float charging section continues to work. When battery voltage goes below 11.66V, the relay is turned on and direct (fast) charging of the battery takes place at around 3A. In the Schmitt trigger circuit, resistors R1 and R2 are used as a simple voltage divider (divide-by-2) to provide battery voltage sample to the inverting input terminal of IC1. The non-inverting input terminal of IC1 is used for reference input derived from the output of IC2 (7806), using the potentiometer arrangement of resistors R3 (18 kiloohm) and R4 (1 kilo-ohm). LED1 is connected across relay to indicate fast charging mode. Diodes D3 and D6 in the common leads of IC2 and IC3 respectively provide added protection to the regulators. The float charging section, comprising regulator 7812, transistors T3 and T4, and few other discrete components, becomes active when the battery voltage goes above 13.64V (such that the relay RL1 is de energised). In the energised state of the relay, the emitter and collector of transistor T4 remain shorted, and hence the float charger is ineffective and direct charging of battery takes place. The reference terminal of regulator (IC3) is kept at 3.9V using LED2, LED3, and diode D6 in the common lead of IC3 to obtain the required regulated output (15.9V), in excess of its rated output, which is needed for proper operation of the circuit. This output voltage is fed to the base of transistor T3 (BC548), which along with transistor T4 (2N3055) forms a Darlington pair. You get 14.5V output at the emitter of transistor T4, but because of a drop in diode D7 you effectively get 13.8V at the positive terminal of the battery. When Schmitt trigger switches ‘on’ relay RL1, charging is at high current rate (boost mode). The fast charging path, starting from transformer X2, comprises diode D5, N/O contacts of relay RL1, and diode D7. The circuit built around IC4 and IC5 is the voltage monitoring section that provides visual display of battery voltage level in bar graph like fashion. 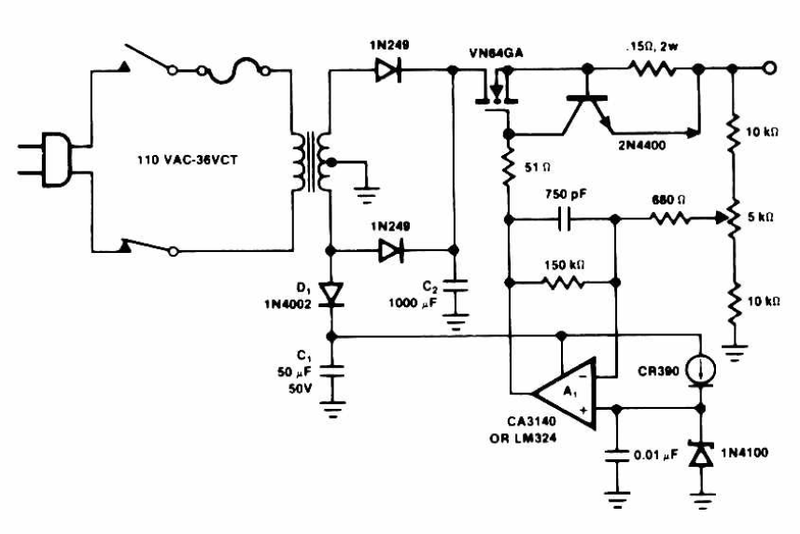 Regulator 7805 is used for generating reference voltage. Preset VR1 (20 kiloohm) can be used to adjust voltage levels as indicated in the circuit. Here also a potmeter arrangement using resistors R7, R8, and R9 is used as ‘divide by 3’ circuit to sample the battery voltage. When voltage is below 10V, the buzzer sounds to indicate that the safe discharge limit has been exceeded.